Taking a look at the Makefile and linker files (in vi-firmware/src and vi-firmware/src/platform/lpc17xx/), you can see the Flash and RAM locations are called out in the comments. The microcontroller uses an LPC17xx (http://vi.openxcplatform.com/electrical/design/microcontroller.html) with and ARM 7 architecture. 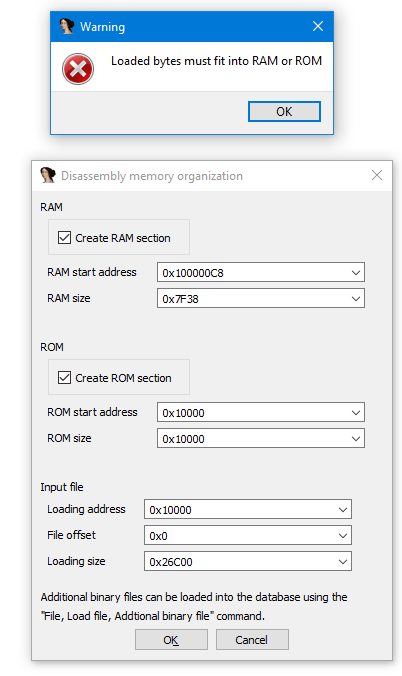 Therefore, when I load IDA, I select Binary file and set the Processor to ARM and Processor Options to ARM 7. 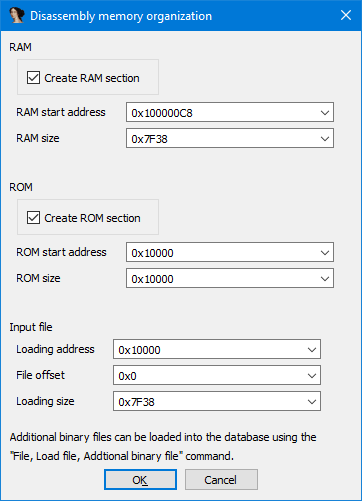 In the next menu I configure the RAM and ROM according to the comments in vi-firmware/src/platform/lpc17xx/LPC17xx-bootloader.ld and then, after pressing OK, get the dialogue box telling me to "Please move to what you think is an entry point". 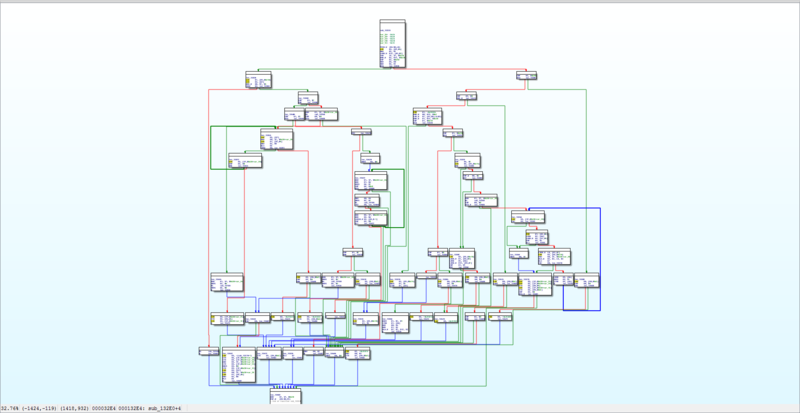 I move 64KB (0x10000) into Flash (ROM) and hit 'C' to try to auto-analyse. Only a few lines translate to assembly. Is there anything else I can do here? I've combed the datasheet for the uC but haven't been able to find anything of use. Not the answer you're looking for? Browse other questions tagged ida binary-format or ask your own question. How to find entry point in .exe?